But a video, circulating on social media this weekend, portrays her as the German dictator Adolf Hitler and the school's former chairman of governors as Russian dictator Stalin, with other management team shown as Hitler's acolytes. Arif Qawi, the chair of governors, had resigned from his post last week following offensive messages posted on social media against him and Lall. 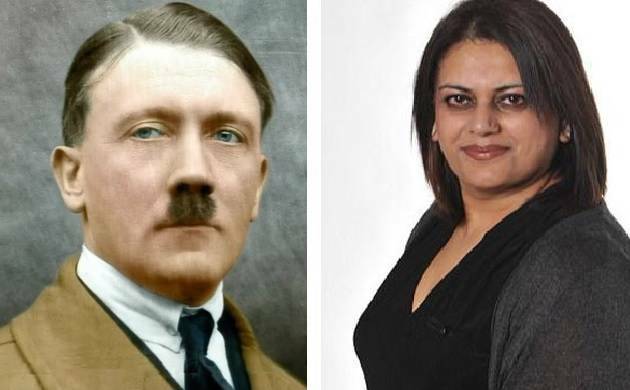 An Indian-origin principal at one of the UK's leading state-funded schools has been branded as Hitler on social media over her efforts to ban the hijab for very young students. Neena Lall, the headteacher of St Stephen's School in Newham, east London, was forced to reverse the decision to impose a ban on the hijab for girls below the age of eight earlier this month after widespread criticism. "It is a very good school. Neena is a very good headteacher," one of the school's governors told the Sunday Times' in defence of the head teacher. At a meeting of the parents and the school management on Monday, attended by local Labour party MP Stephen Timms, Lall was forced to apologise as she confirmed the reversal of the governing body's previously approved ban on hijabs for very young pupils. "The school's uniform policy is based on the health, safety, and welfare of our children. The school has taken the decision to make changes to this policy with immediate effect and this follows on from conversations with our school community," the school said in a statement. "We will work with our school community to continue to review this policy going forward in the best interests of our children," it added. The school, with a majority of pupils from Indian, Pakistani or Bangladeshi backgrounds, had earlier urged the UK government to issue clear guidelines on the issue of hijab wearing and religious fasting relating to very young pupils to prevent a backlash from parents.